High durability and strength. HardieFlex advanced building composite is designed not to crack even under the harshest weather and environmental conditions. It is resistant to damage due to wind, rain, moisture, and humidity. Furthermore, HardieFlex advanced building composite is combustible: it will not ignite or catch fire even when exposed to flame. HardieFlex advanced building composite is resistant to termite-damage. HardieFlex advanced building composite is designed to perform. Convenience and versatility. HardieFlex advanced building composites are very versatile and may be used for ceilings, walls, sidings, eaves, and fascias. They are easily and conveniently installed and conform to any design requirement. Warranty and environment-friendly. HardieFlex advanced building composite is made from plentiful non-toxic materials that have minimal impact on the environment. In the case of the Philippines, James Hardie manufactures its products in its own facility in Cabuyao, Laguna. This reduces the “carbon footprint” or fuel emissions required to transport its products to the homeowners. In contrast, imported fiber cement products use up a lot of fuel and release greater emissions into the environment. James Hardie offers a 10-year warranty on its products. Do you wonder how James Hardie is able to create such a superior, reliable, and trusted product? Well, while the details of the manufacturing process are trade secrets, we can still find out some of the science behind HardieFlex advanced building composites. First of all, the basic materials that are combined to create James Hardie’s advanced building composite are of utmost importance. James Hardie began, in the late 1980s, to use cellulose fibers for its products. Until today, James Hardie’s advanced composite building material is made from cement, sand, water, and cellulose. Why add cellulose? Adding cellulose makes the finished advanced building composite more flexible: bending strength is the result. The final product is not brittle and resists cracking under pressure. Now, once these ingredients are gathered, how are they combined? First of all, sand is poured into a huge underground conveyor. This sand passes through what is called a “ball mill”. It is called such because it has steel balls inside that are used to crush the sand into fine powder. Once the sand is powdered, water is added. Adding water makes it easier to pipe through the sand across the manufacturing plant and also ensures that no heat is produced, eliminating the need for a cooling or exhaust system. Later on, most of this water is drained from the sand. After draining, the material left is about 80 percent sand. This material will need to be thickened, so at this stage the cellulose is added. Then the cement, sand, and cellulose are combined along with some additives. The result is a liquefied material that is poured through sieves, troughs, and rollers. More water is drained. At the end of this process, a film of fiber cement is created. The fiber cement film is then put through a further process of drying and pressing and cutting, until fiber cement boards are created. The flexibility and durability of these HardieFlex fiber cement boards make them versatile—they can be cut, bent and shaped to follow a wide variety of designs. “The entire process is the result of advanced scientific research, engineering, and technology that is unmatched by James Hardie’s competitors. 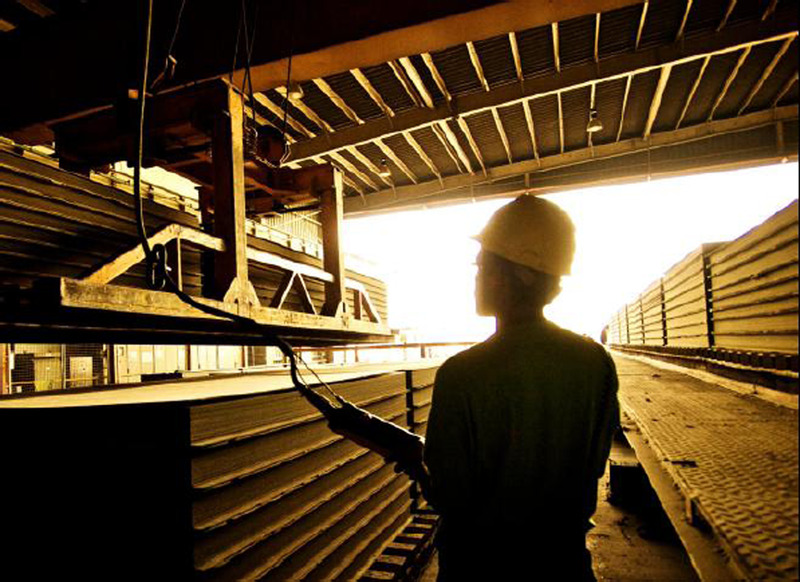 In fact, James Hardie is already producing highly advanced composite building materials in the Philippines. As for our competitors in Southeast Asia, they can only offer 1st generation fiber cement,” said Rose Pangan, Product Development Manager for James Hardie. You can discover how your home or building can benefit from the advanced science and engineering behind HardieFlex advanced building composites. Visit www.jameshardie.com.ph and like the official James Hardie Page on Facebook at www.facebook.com/jameshardiephil or call 1-800-888-5427 (outside Metro Manila) or 895-5427 (within Metro Manila).